Centrally located in the hub of activities of Kuala Lumpur. 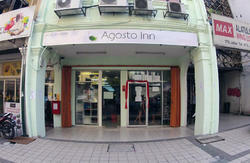 Private rooms only, for a quiet night's sleep.Ideal if you are on transit or have little time to spend in KL. Conveniently located next to LRT station, one stop from KL Sentral, around the corner from Chinatown for street shopping and food. 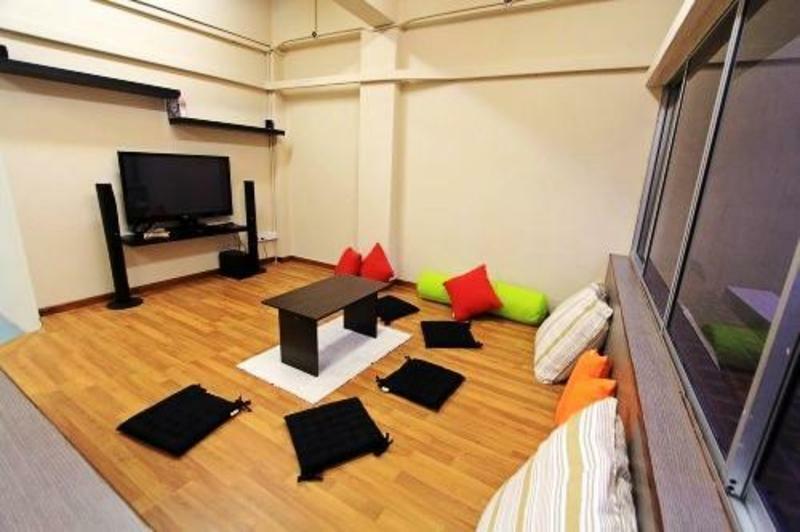 Close to attractions like Central Market(across the street! ), Hindu and Chinese temples, Little India, Masjid Jamek etc. Puduraya bus terminal (for intercity bus) is 15 mins walk away. Catch the KL hop-on hop-off in front of the hostel for a city tour. Clean and comfortable rooms (all shared toilets), perfect for that much needed privacy. Meet other travelers for some tips in our TV and reading lounge. Enjoy your morning free coffee and toasts in the outdoor balcony garden or the pantry. CCTV monitored premises for your safety. All that traveling wearing you out? Get a little comfort, take a breather.....and chill at Matahari Lodge Two. Generally, taxis would not know if given just our address due to many small roads in KL. Be sure to mention landmarks. Located opposite at back entrance of Central Market and HSBC Bank.Get taxi driver to call us for directions if he is still unsure.From Low Cost Terminal (LCCT) - Take AirAsia Skybus/Aerobus to KL Sentral Terminal (MYR 9, 75mins). Change to LRT train one stop away to Pasar Seni Station (MYR 1, 10mins). 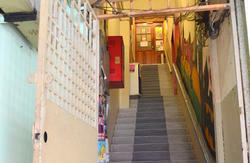 Walk towards Central Market back entrance(burn 5 calories, 5mins). We are opposite the back entrance of Central Market and HSBC Bank. From KL International Airport (KLIA) - Take KLIA Express train to KL Sentral Terminal (MYR 35, 28mins). Then, same as above. Alternatively taxis KL Sentral cost MYR 10, 15 mins. By taxi directly from either airports - follow above instructions. You may want to buy taxi coupon from the counters at airports or KL Sentral terminal. (From airports approx MYR 70-150, 1hr). Take the ERL to KL Sentral. You can then transit Putra LRT train to Pasar Seni station. From Puduraya Bus Station, walk towards Central Market,make sure walk until back entrance of Central Market,you will see HSBC Bank at the corner of Traffic Light,we are just opposite of these land marks.